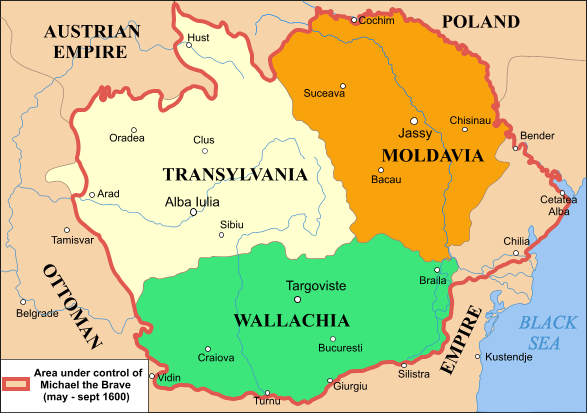 One of the most important things to happen in the years of 1599 and 1600 was the unification of Transylvania to two other principalities of Wallachia and Moldavia. This would be the first time that these three principalities- which in 1919 would become a part of the Kingdom of Greater Romania, and this would be the next time all three of the Principalities of what would become Romania. There was political unrest and during this time, many battles were fought between rivals to the claims of the various principalities' thrones. This unification under one person would not have been possible without the leadership of the Prince Of Transylvania, Moldavia and Wallachia. He was known as Michael the Brave, Prince of Wallachia, Prince of Moldavia, and Prince of Transylvania- also known as Imperial Governor of Transylvania. It is ironic that he had the greatest chance of keeping the peace and increasing the population, however 1601, he was murdered on orders of the current Hapsburg Emperor- Ferdinand II of the House of Hapsburg and Holy Roman Emperor. Austria coveted Transylvania for land expansion, but it would be nearly 150 years later before this would happen. 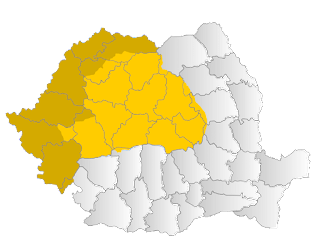 Transylvania - Erdély - Was a Hungarian - Magyar - land that was GIVEN to romania in the Trianon Diktat! Transylvania has absolutely nothing in common with romanian-vlach history. Transylvania was part and parcel of the Hungarian Kingdom, or an independent Hungarian Principality for over a thousand years. 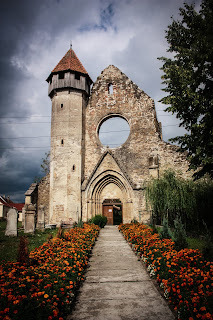 As an integral part of the Hungarian Kingdom, Transylvania and Kolozsvár was drawn into the Western Christian Culture Circle at the beginning of the eleventh century. The architecture of old Transylvanian cities, such as Nagyvárad , Kolozsvár , Marosvásárhely, Brassó or Dés bear witness to this fact. Besides a few scattered ruins of Roman fortifications, destroyed by the retreating Roman legions in 271 A.D., no sign of any kind would indicate a trace of an older established culture preceding the arrival of the Hungarians. 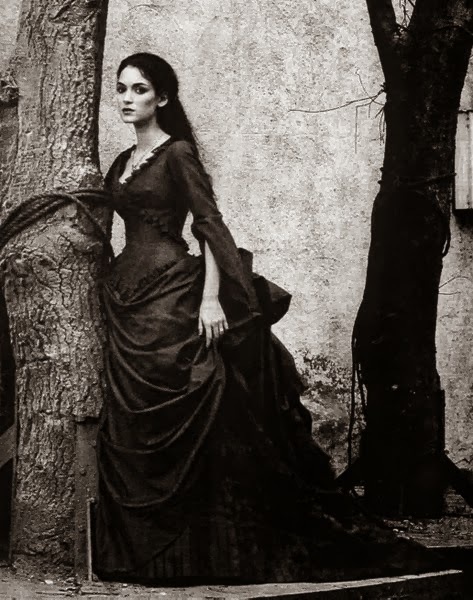 Not even the legends, folk tales, ballads or folk songs of any one of the cohabiting ethnic groups suggest anything of this kind, except the oldest Hungarian (Székely) legends which date back to the time of Attila and the empire of the Huns. If we examine the folk art, which is the most tell-tale expression of early influences, we find that the embroideries and architecture of the Transylvanian Germans relates to the embroideries and architecture of those districts of Germany where these settlers came from in the 12th and 13th centuries. In the same way, the folk art of the Transylvanian Romanians is identical with those of Moldavia and Wallachia, and they clearly show the Slavic influences, the Bulgarian, Greek, and important Albanian motifs, picked up by the migrating Vlach herdsmen on their way from the Albanian border to their present location. On the other hand, the famous art creations of the Transylvanian Hungarians, like those of Kalotaszeg, Csík, Haromszék, Udvarhely carry a basic similarity with those of other parts of Hungary, and clearly relate back to ancient Turanian (Scythian) motifs of Sumeria and Babilon.